HBF is pleased to share World Hepatitis Day plans of our friend Theobald Owusu-Ansah of the Theobald Hepatitis B Foundation in Ghana. The Foundation is also a voting member of the World Hepatitis Alliance. On July 28th, 2013, The Theobald Hepatitis B Foundation and the Hepatitis Coalition of Ghana will join the World with one voice to celebrate World Hepatitis Day in Sunyani at Victoria Park. In attendance will be the Chiefs, members of Parliament, District Chief Executives, Municipal Chief Executives, Assembly Members and all the Opinion Leaders of the Region. The Theobald Hepatitis B Foundation is a non-profit organization whose main aim is to educate and create awareness of hepatitis B and C to the general public, ranging from the causes, and symptoms of viral hepatitis, to preventive measures. 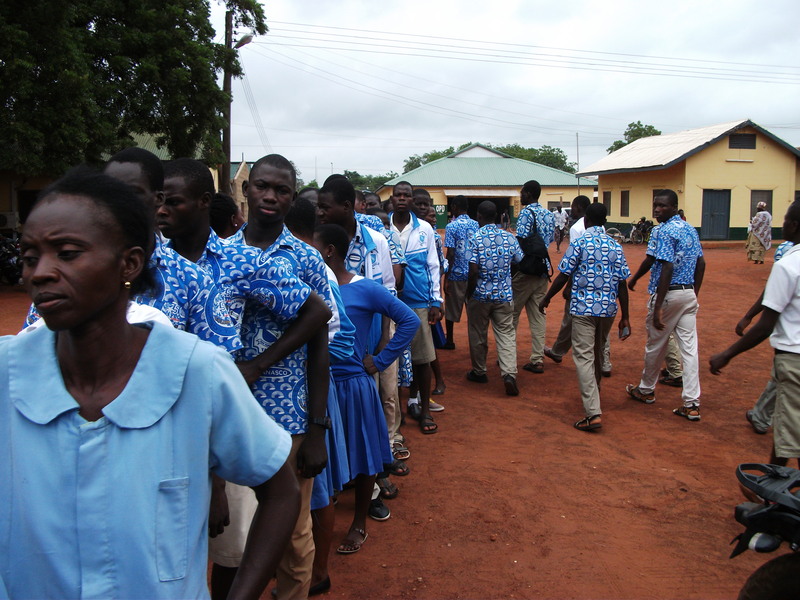 On World Hepatitis Day, the activities will start with an early morning Float with music and dance throughout the principal streets of Sunyani, along with the members and volunteers of the Foundation and the Coalition distributing educational materials to the crowds. These leaflets, posters, banners and stickers are part of the ongoing media blast that will draw the public’s attention to problem of chronic hepatitis B among the people of Ghana. Free screening and hepatitis B vaccinations will be ongoing throughout the day’s activities. Resource persons will be delivering their messages and educating the general public about viral hepatitis. It is important that the people learn and understand whether or not they are positive or negative for viral hepatitis, and if they are positive, what is next. The Delegation of the Government and other health care professionals will educate the public on Viral Hepatitis Policies and the way forward. Dieticians will also take the general public through the kind of food and diet one needs to eat, and the importance of avoiding alcohol, in order to defuse the public cry of the cost of prevention and treatment of hepatitis B. Participating organizations will then take the opportunity to appeal for funds from the government officials and the Chiefs of the region present, in order to enable us to successfully organize our last programme of the year. At the end of the event, the public will be provided with advice, and directed to seek medical information from qualified health professionals, in order to avoid falling into wrong hands of those trying to sell false cures for those with hepatitis B. Please join us for our World Hepatitis Day activities in Victoria Park if you are in Sunyani, Ghana. HBV DNA-553 IU/ML 20 -01-12, LFT–ALT37.9U/L AST–22.4, HBV PROFILE; HBsAg—–positive,HBsAb—Negative,HbeAG–negative,HbeAb–negative,HBcAb–positive, PLESAE WHAT IS MY STATUS AND I NEED TREATMENT, THANK YOU. Very informative post. Thank you very much for sharing it. PLEASE WHAT THE PROFILE PANEL MEAN? it means that you are currently infected with hepatitis B. Do you know if this is an acute or chronic infection? Your doctor may have more information to help you determine this. If you remain HBsAg positive for more than 6 months then you are considered chronically infected. But my liver function test is normal exept for DIRECT BILIRUBIN which was 6umol/l. Please what is my status and how can you help me. thank you. At this time you are HBeAg negative which typically indicates a less active phase of the virus. However, there can be mutations. You will want to ask your liver specialist to look at your HBV DNA (viral load) and your ALT. That way you will have a more complete picture of your HBV and liver health. You do not mention the ULN for your bilirubin lab results and this does differ from lab to lab. This is an important question for your liver specialist. There are other reasons for elevated bilirubin levels such as a blocked bile duct or it can even be affected by diet and exercise. Just be sure to check with your doctor to be sure everything is okay.